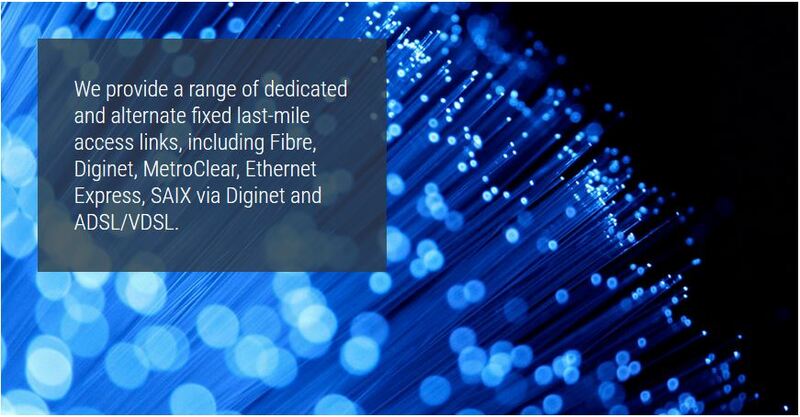 We provide a range of dedicated and alternate fixed last-mile access links, including Fibre, Diginet, MetroClear, Ethernet Express, SAIX via Diginet and ADSL/VDSL. We offer services on either our own infrastructure or we facilitate the provisioning of new infrastructure from a number of alternate network access providers. By offering a combination of our own telecommunication facilities and those of other network access providers, your business or home has access to bespoke solutions, wide coverage areas, MPLS capabilities and true redundancy. We also offer Metro Ethernet connections to various POPs, as well as multiple POPs for voice and data services across the country. As demand for larger bandwidth continues to grow and prices continue to fall, we offer a full complement of fixed-line last-mile access services that are capable of routing data and voice across the same link, saving you both on transmission and infrastructure costs. 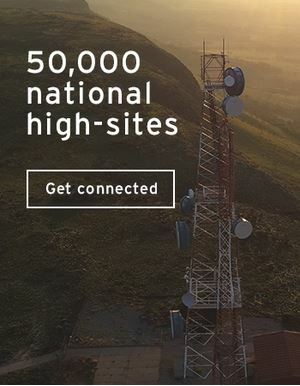 By offering your business or home a combination of our own telecommunication facilities and those of other network access providers, we are able to ensure national coverage with true redundancy. All last-mile access links are proactively monitored and supported on our cutting-edge monitoring systems to provide you with online monitoring of interface quality, QoS and equipment alarms, and remote diagnostics, as well as real time reporting on updates and optimal usage.